Emails contained in a new legal filing show Uber’s former CEO, Travis Kalanick, fretted for years about other companies outstripping Uber in the race to develop autonomous vehicles and use them for ridesharing, and once sought a partnership with Google to ensure that Uber could win the race. In one email, Kalanick complained to Google chief legal officer and senior vice president of corporate development David Drummond (who served on Uber’s board for several years before stepping down in 2016) that Alphabet CEO Larry Page was avoiding him. The emails are included in a new filing in Waymo’s lawsuit against Uber, which accuses Uber of ripping off trade secrets developed at Google to advance its own autonomous vehicle efforts. Although Google and Uber are now facing off in court, the two companies had a warmer relationship in 2015. Drummond still sat on Uber’s board and Google Ventures had invested more than $300 million in Uber. Google was working on self-driving cars, and Kalanick wanted to partner with the company to provide an autonomous ride-hailing service. But rumors about Google’s own effort to use self-driving cars for ride-hailing were swirling—and Kalanick was worried. In January 2015, Kalanick emailed Drummond, concerned about comments that Chris Urmson, an executive on Google’s self-driving car team, had made at a conference. 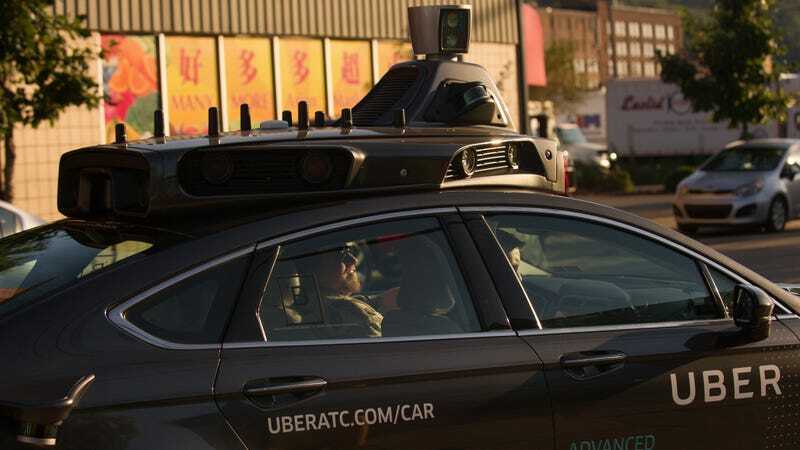 “Urmson is openly discussing rolling out an Autonomous Vehicle ridesharing service,” Kalanick complained. Drummond replied that he would try to meet with Kalanick while the two were visiting Brussels, but the email seems to indicate that the meeting fell through. Three months later, Kalanick emailed Drummond a tip he’d received that Google would be launching a “self-driving service” within three months. Kalanick added that a meeting with Page was essential to lock down a “proper partnership” on self-driving technology. Drummond responded with an apology and said he would work to arrange a meeting between Page and Kalanick. “I continue to believe that a partnership now far outweighs concerns about an uncertain future,” Drummond wrote. The meeting between Kalanick and Page finally happened three days after that email exchange. Emil Michael, an Uber executive who recently resigned during the scandal over sexual harassment and management problems at the company, also attended the meeting. The ride-hailing partnership that Kalanick feared has now come to fruition—in May, Waymo agreed to partner with Lyft, Uber’s primary rival. Last August, Google also launched a ride-hailing service through its traffic app Waze that could become a major Uber competitor. Uber is now seeking depositions with Page and Drummond to find out more about their interactions with Anthony Levandowski, a former Waymo engineer who is accused of stealing 14,000 confidential documents and using them to create autnomous vehicle technology for Uber, and about why the Uber-Google partnership went sour. Uber’s attorneys claim that Kalanick and Page met once again after Levandowski allegedly downloaded the documents in December 2015 and January 2016. They want to know why Page didn’t mention the theft to Kalanick, since he knew that Levandowski worked for Uber. But Uber is also digging for info about why Google ultimately decided to compete with the company it had once invested heavily in. Waymo has opposed Uber’s efforts to secure depositions with Page, Drummond, and other Google executives, saying that Uber can find the information it wants elsewhere. “Uber cannot show Mr. Drummond has unique and personal knowledge on these issues. Uber obviously knows its own business plans and strategy for its self-driving car program that were provided to its Board of Directors, Uber’s plans to acquire Ottomotto, and the timing of Mr. Drummond’s membership on Uber’s board,” Waymo attorney Charles Verhoeven wrote in a June 30 filing. Spokespeople for Uber and Waymo declined to comment beyond the companies’ court filings. Update 7/6/17 at 7:15 p.m. ET: An Uber spokesperson provided the following statement on the company’s fight to get depositions with key Google executives. There is no substitute for these depositions, which would resolve some key unanswered questions. For instance: why, after Google learned of the alleged downloading of 14,000 files, did Mr. Page not alert Uber’s then-CEO to that fact when they spoke? Simultaneously, Google was rejecting a partnership with Uber, choosing instead to compete. This—and the lack of evidence supporting Waymo’s case—begs the obvious question: was this lawsuit actually motivated by the downloading of the files, or was it an attempt to slow down a competitor?